The same old Market charm, with new digs to fall in love with. 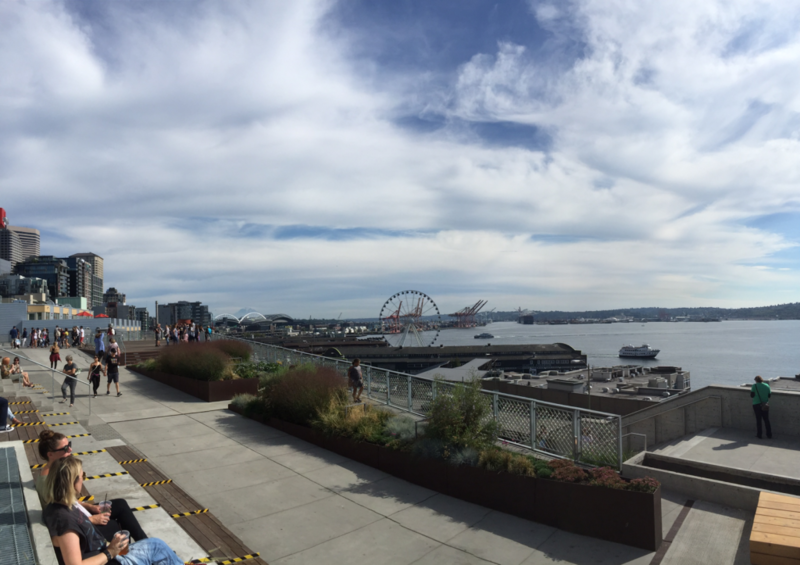 Haven’t been to Pike Place Market in a while? You’ll notice that things have changed just a little since your last stroll through. 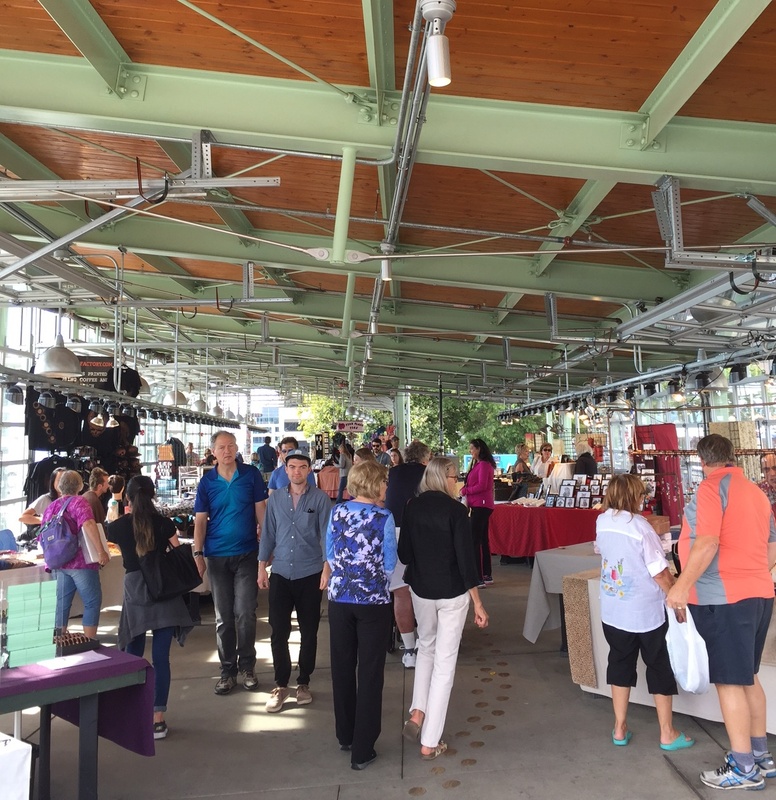 For the first time in 40 years, Pike Place Market expanded this past June with the opening of its new “MarketFront“. After years of dreaming and planning, this long-time vision of the Market does not disappoint. My favorite feature of the new MarketFront has to be the views that it now creates. Simply step onto the MarketFront Plaza and soak in the panoramic views of Elliott Bay, Mount Rainier, and the Seattle Waterfront. Having visited on a sunny weekend, I decided to spend extra time here to gaze at everything that this new space has to offer. After you’re done checking out the new views and taking a picture or two, it’s time to go shopping. Attached to the Plaza, you will find the Pavilion, a new open-air space for local farmers and artisans to sell their goodies. After browsing through all the vendor stalls in this new space, in addition to those in the original Pike Place Market area, there won’t be any excuse for missing out on the perfect Seattle souvenir. When walking through Pike Place Market, it’s hard to miss Rachel the Piggy Bank standing in front of Pike Place Fish Market, raising money for social services within the Market community. 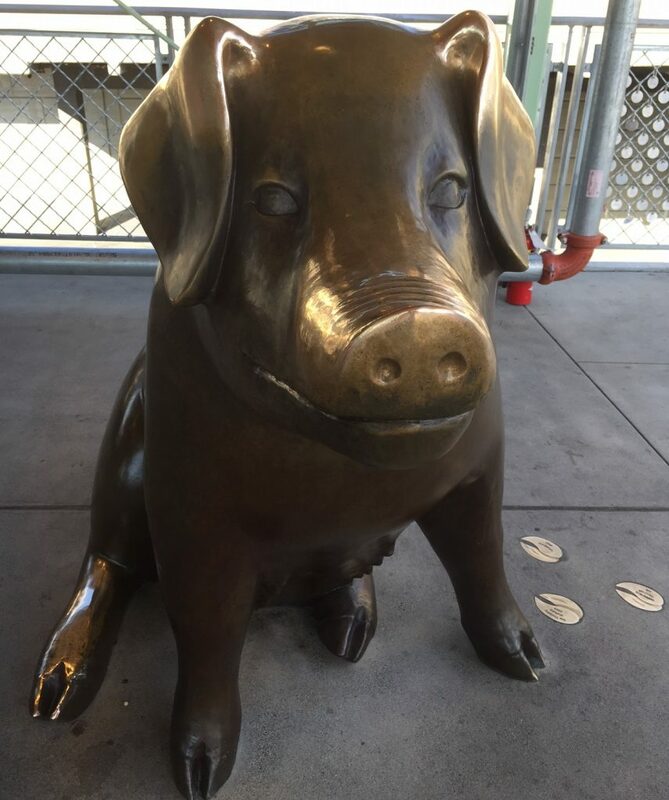 What you may not know is that Rachel has a cousin named Billie the Piggy Bank, who is making the move from Western Avenue to the new MarketFront. You’ll find Billie greeting visitors just inside the Pavilion. Below the MarketFront Plaza sits Producers Hall, home to four new artisanal spots to eat: indi chocolate, Honest Biscuit, Little Fish, and Old Stove Brewing Co. If you find yourself looking for delicious biscuits, I would definitely recommend Honest Biscuit. I have eyes on their most famous biscuit, The MacGregor (featuring Bavarian Meats Bacon, Beecher’s Flagship Cheese, and, caramelized onions), for the next time I swing by. Indi chocolate is also on my radar for my next trip back to the MarketFront. Specializing in single origin dark chocolate, I’ll be able to indulge and satisfy my sweet tooth, while telling myself that I’m actually eating “healthy”. The MarketFront would not be complete without local art adding some color and vibrancy to the new space. Northwest Microcosm by Clare Dohna, is a three-part mural covering sections near the grand staircase. I was eager to see the beauty and aesthetic of the artwork, but came away feeling that the cohesiveness and overall theme of the pieces were the shining stars. 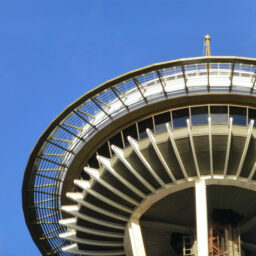 Each part features goods that can be found at the Market, and the allure of the Pacific Northwest. 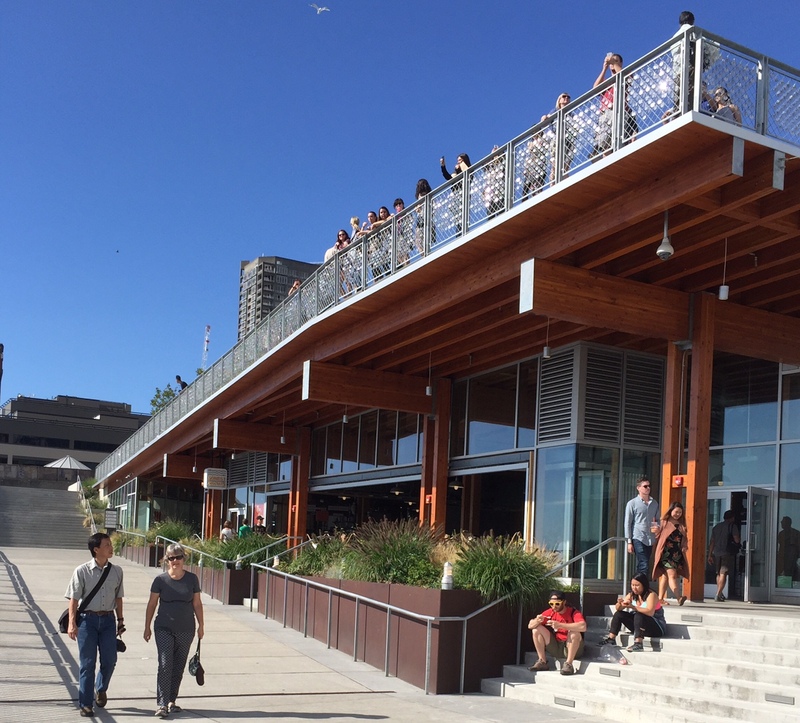 At the top of the stairs you can see the fresh produce that the Market offers every day to visitors, while the second level showcases the wildlife and flowers of the region, and the bottom level features a plethora of fish that represent Seattle’s seafood scene. The new artwork at the MarketFront does not stop there. Western Tapestry by John Fleming transforms and brings color along the walls of Western Avenue. 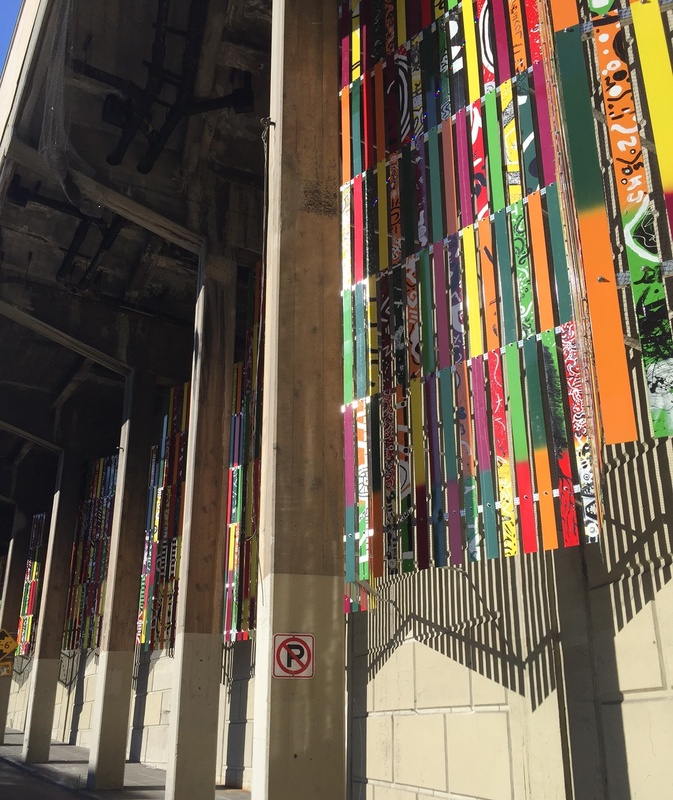 This art project united community members to weave together over 1,600 hand-painted metal strips. 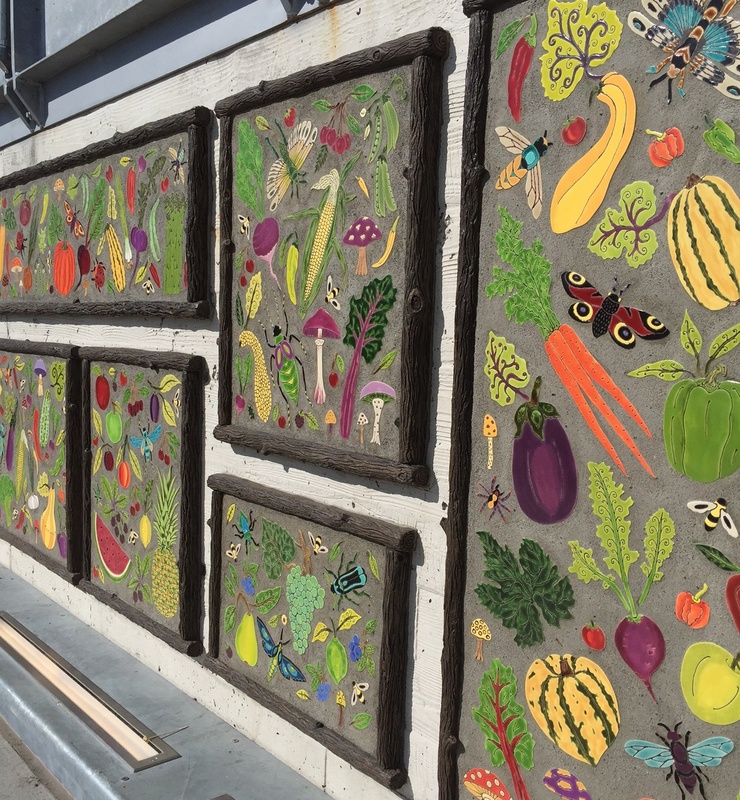 The colors used on the artwork represent the colors of the market from the fresh produce, to the fish and crafts. On the Plaza and throughout the MarketFront, Market Charms and hoofprints add bits of detail and intrigue to the space. 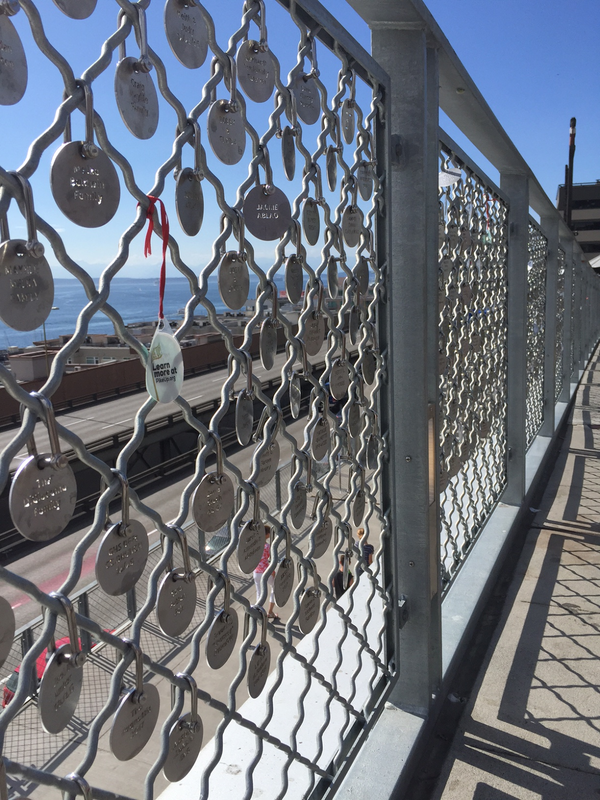 By making a donation to Pike Place Market, you can design your very own charm or hoofprint with an engraved message. 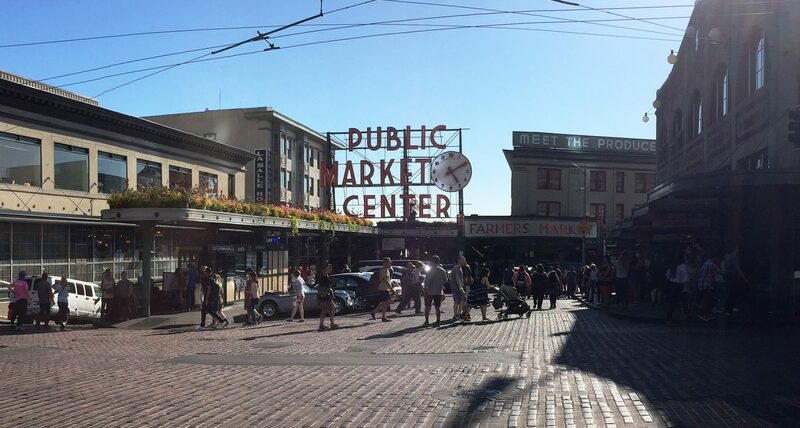 Both provide an opportunity for donors to become permanent fixtures at Pike Place Market. 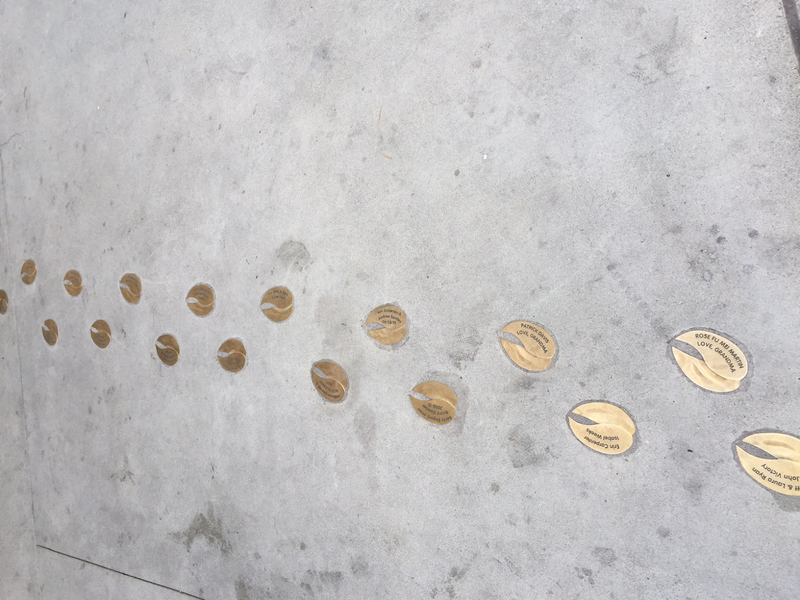 Visit Pike Place Market Foundation by September 12 to ensure that your charm or hoofprint is part of the final installation in the fall. What else does the MarketFront have planned for its visitors? On the horizon is the opening of The Market Commons. The Commons is planned to be a new neighborhood community center that will double as an opportunity for the Market to expand its social service work. 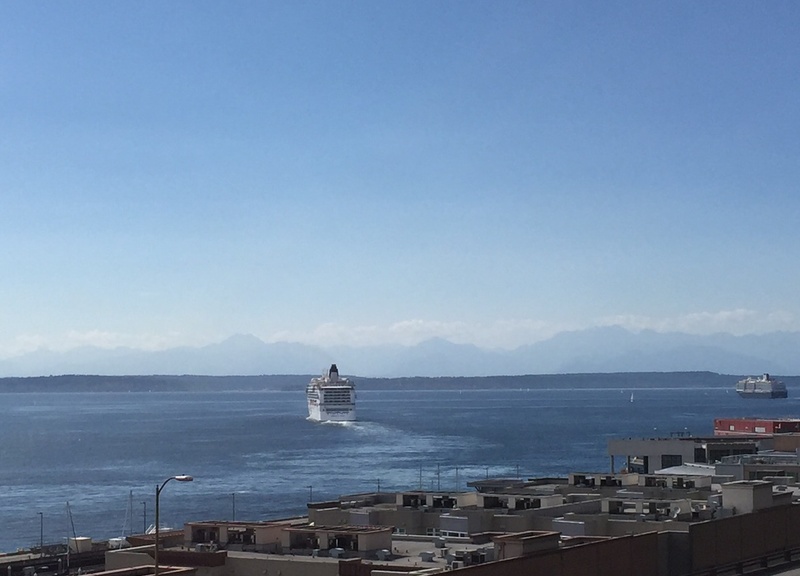 Later down the line, there are plans for a connection to be built between the Market and the Seattle Waterfront. This will provide a seamless way for people to access the Waterfront with sweeping views along the way. The smell of the fresh produce and beautiful flowers is something to look forward to on every visit to Pike Place Market. Whether it’s your first visit or the 100th, there’s just something magical about the place. I don’t know about you, but every time I walk through the confines of the Market, I feel like I’m walking through a part of Seattle history. While the MarketFront hasn’t been open for very long, that same feeling carries over to the new space, and reminds you of why the Market is so special to Seattle. Tyler is a former Marketing Intern at Visit Seattle. Born and raised in Hawaii, he came to Seattle to attend college. When he’s not at the library hitting the books, he enjoys playing and watching sports, jamming out to new music from his favorite artists, and finding new food spots around town.